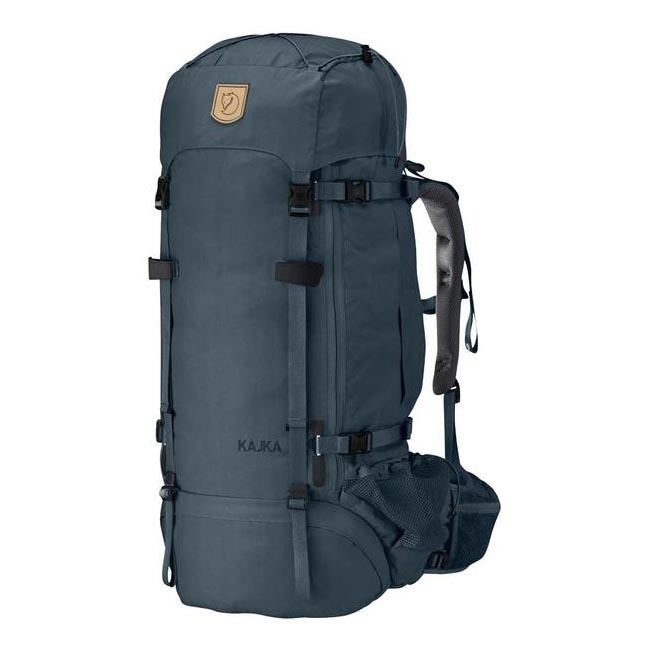 Durable, comfortable and loaded with functions – despite its fairly modest appearance, Kajka is an advanced trekking backpack in the classic Fjällräven spirit. Now upgraded with fine-tuned and improved functions and an innovative, one-of-a-kind wooden frame that impacts the environment considerably less than previously while maintaining its strength and functionality. 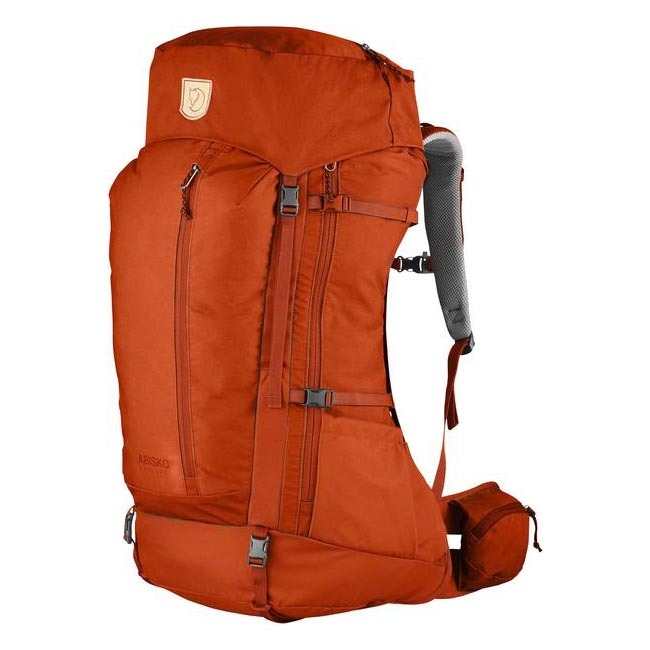 The support system is designed to distribute even extremely heavy loads, and the user-friendly Perfect Fit Adjustment System allows easy adjustment for different bodies – in terms of both back length and width between shoulder straps. 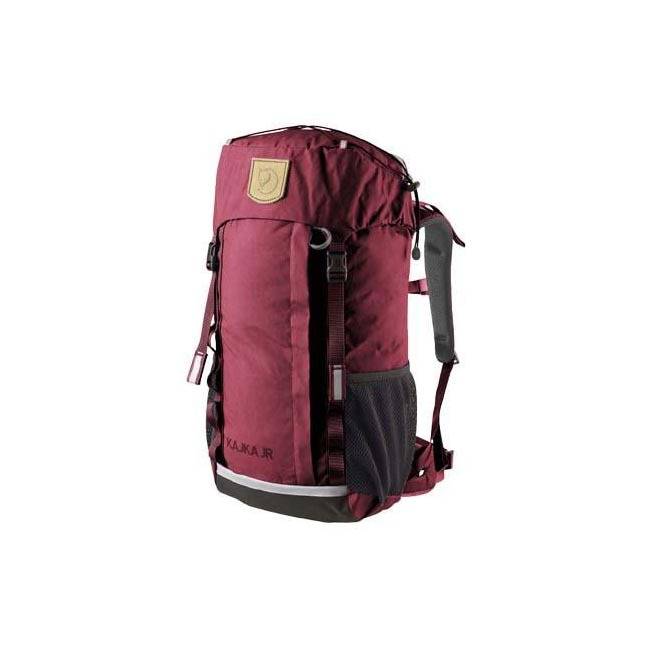 The generous hip belt offers a high degree of carrying comfort on long hiking days. The main compartment is loaded from the top and has a snow lock. It also has a large vertical opening in the front and another one at the bottom to help the user get an easy overview of the contents. It can be divided into an upper and lower section. The lower section has Wet/Dry compartments to keep damp and dirty equipment from the rest of your things. There are also practical zippered pockets in the top lid, sides and hip belt. The top cover can be removed and worn as a waist or chest bag when you want to keep a close eye on your valuables. Two compression straps on each side fasten onto small poles for even and effective compression without blocking the side pocket openings. 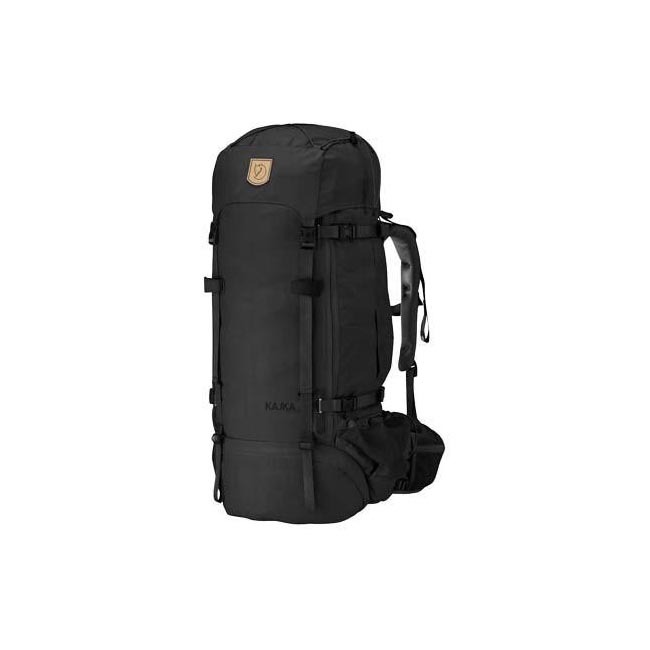 Attachment points on the top cover and bottom of the backpack. Whistle on the chest strap and rain cover with reflectors. 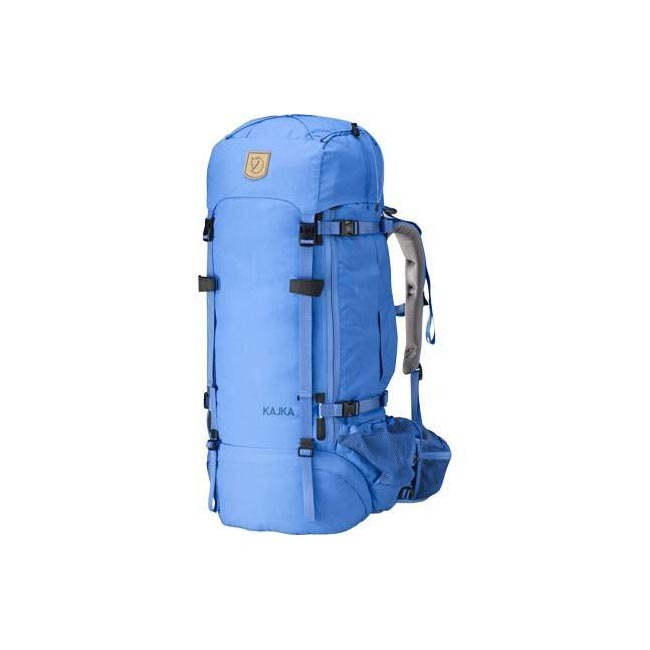 Kajka has been praised by hikers all over the world as well as by the trade press. 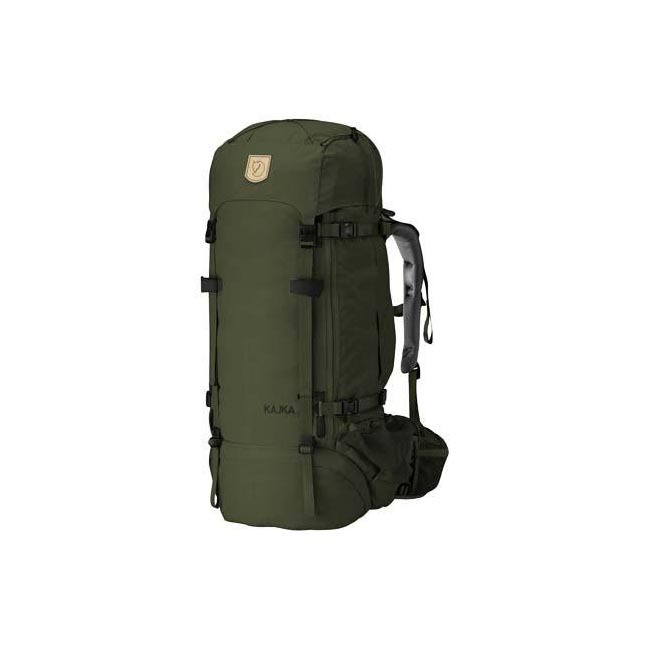 Amongst other things, it was named 2009 Product of the Year by the Swedish outdoor magazine, Utemagasinet, and Best in Test by Retkis, a Finnish publication, in its large backpack test in 2011.